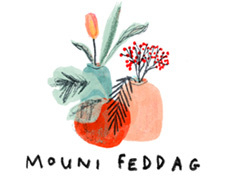 Mouni Feddag Illustration – What Is Illustration Good For? Final degree project at the Hochschule Darmstadt. Booklet (A5, 100 pages) + four A3 posters. In German.